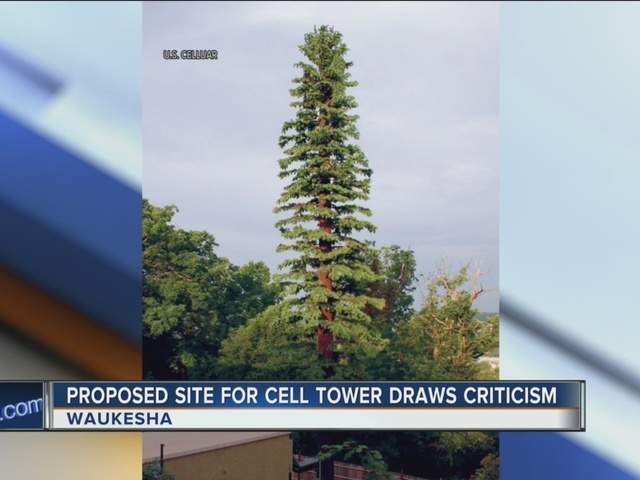 A proposal to erect a cell tower in a residential, Waukesha area is being met with opposition from neighbors and local officials. 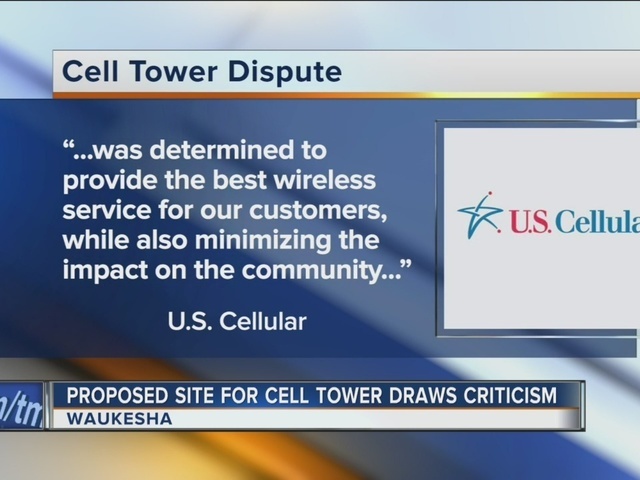 U.S. Cellular currently has a tower near the Waukesha County Expo Center, which stands on land leased from the county. But the lease is set to expire, and the two sides have struggled to come to an agreement on renewal. So the company found a site at 915 Magnolia Drive owned by El Buen Samaritano United Methodist Church. The church has agreed to lease a portion of its land to U.S. Cellular for the installation of a new tower. Local officials said the agreement with the church is for roughly one-third of the cost the company currently pays Waukesha County. Pieper said the city's planning commission has no choice but to approve the proposal if it meets basic requirements -- such as how far back the tower must stand from the property line. The Alderman blames a state law that he said has stripped local governments of the ability to regulate cell towers for the purposes of aesthetics or complaints from neighbors. Waukesha's planning commission next meets on January 25. The cell tower proposal is on the agenda. At U.S. Cellular, our top priority is providing a great wireless experience for our customers through a high-quality network that keeps them connected to the people and information important to them. When exploring prospective locations for cell towers, we take several things into consideration, including community feedback, terrain, and aesthetics, and ultimately we want to place our towers in spots that provide our customers with the best wireless connection. Ongoing negotiations with Waukesha officials for a lease extension of our current tower near the Huber Facility have resulted in us looking for a new tower site location. After thorough research into several potential sites for relocating this tower, the location at Buen Samaritano United Methodist Church was determined to provide the best wireless service for our customers, while also minimizing the impact on the community. This cell site is being designed to resemble a tree so it will blend in more with the surrounding area. We are open to keeping our tower at its current space provided we can reach agreement with the county on similar terms to the terms we agreed to with the Buen Samaritano United Methodist Church. We welcome further dialogue around this, and we look forward to having additional conversations with local Waukesha leaders and residents. But neighbors are worried about the possible impact of the tower on their property values, as well as on safety. Jessica Brandenburg, who lives nearby, is concerned about what would happen if the tower somehow fell. She said she's also frustrated that the tower's cooling equipment will likely make a constant humming noise. “Coming outside in the summer, for those few months we actually can, we will definitely hear it in addition to seeing it,” Brandenburg said. She and her neighbors will go door to door on Saturday to raise awareness about the proposal ahead of the planning commission meeting. Brandenburg said there’s also a public rally planned for next Saturday, January 14, at Noon at the proposed tower site.